A very large U.S. insurance company was writing commercial auto and commercial general liability policies using only senior underwriters. The company did not have underwriting assistants helping with the analysis and pricing of policies. The insurer wanted its senior underwriters to focus more on business development and interacting with brokers and insureds. The company turned to Xceedance to provide a team of underwriting assistants who could update the experience rated pricing models. With the help of the client’s senior underwriters, Xceedance built a team that could develop pricing models, update the models at renewal and input actual loss data. The team utilized its knowledge of both auto and general liability coverages, as well as its technical expertise regarding pricing models. The program launched after a three-month pilot. 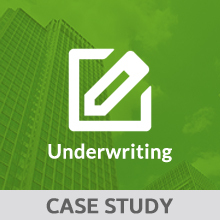 Three years into the relationship, Xceedance now handles approximately 80 percent of pricing activities with a goal of providing 100 percent of the submission-to-pricing underwriting work. The Xceedance team worked with existing Excel-based pricing models and loss data files. The team also utilized SQL for collecting large amounts of data, which is being used to continuously improve and refine pricing model inputs. Senior members of the Xceedance team met frequently with client teams during the initial phases of the transition. Onsite presence and regularly scheduled meetings allowed the Xceedance team to quickly overcome communications and workflow challenges. With support from Xceedance, the client has improved the quality of data in its pricing models at a reasonable cost. From the outset, the project goals have been to maximize the volume of accounts and minimize errors. Currently, the Xceedance team handles approximately 7,000 casualty insurance submissions annually and error rates are less than 1 percent.